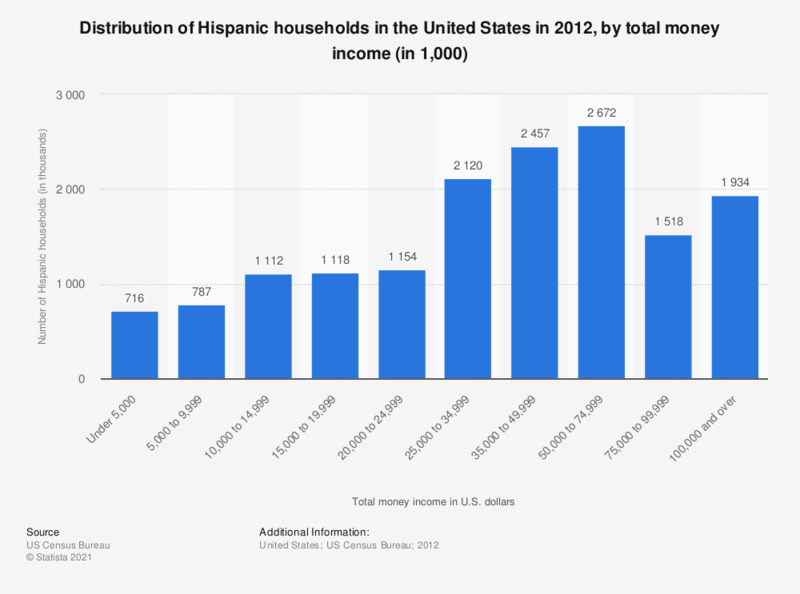 The statistic shows the distribution of Hispanic households in the United States in 2012, by total money income. In 2012, about 2.67 million Hispanic households in the U.S. had a total money income between 50,000 and 74,999 U.S. dollars. That's about 17.1 percent of all Hispanic households. Hispanic households can be of any race.